Next Saturday is the Chinese New Year. I’ll be flying back to Sabah to celebrate the new year. We actually do not do much during the holidays but we do eat a lot. On Chinese New Year eve, my family has a reunion dinner with the extended family at my aunt’s place. Every family brings a (usually) home cooked meal for the dinner. Despite knowing we have leftovers all the time, everyone brings more food than can be finished Because the main dining table had limited space, I was assigned to the children’s table. Now that the family has a fourth-generation kids, the children is really The Children’s Table now. There is always a fish dish. And we’re not supposed to finish the fish as it signifies having abundance and surplus in the next year. Here’s a fish dish I ate in Alor Setar. Usually steamed fish doesn’t have that much fried garlic on top. Digging through old photos from the blog, I found this delicious collage of food. Dumplings are a traditional Chinese New Year food because they look like gold ingots. Roast duck and roast pork are popular because most people like them. 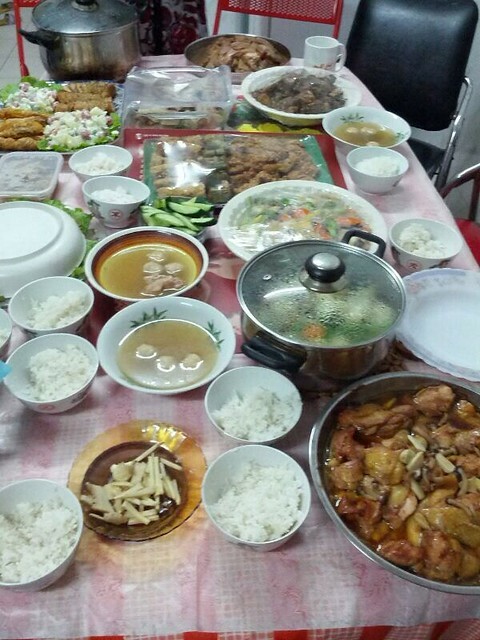 It’s quite alright for adults to have food war during Chinese New Year. 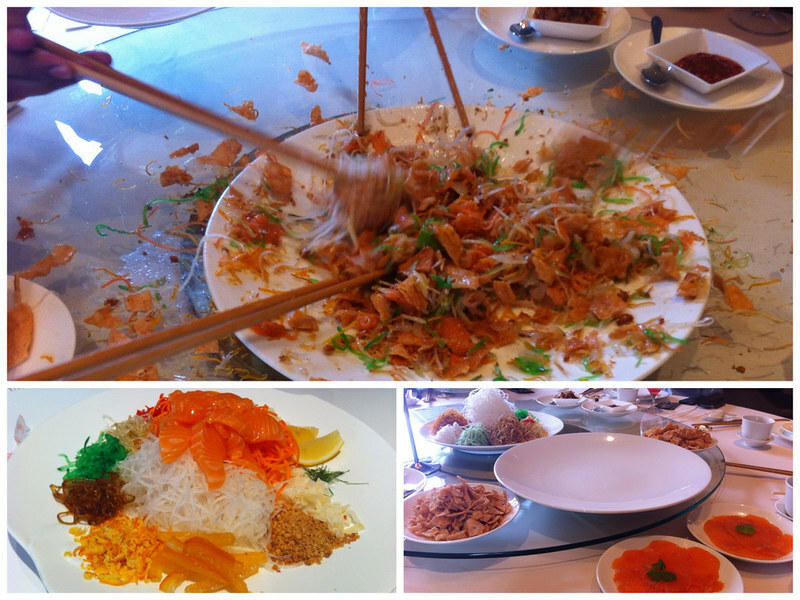 The photo below shows Yusheng. It’s a medley of food, put into a large plate while the server reads incantations (not really, just “auspicious wishes” ). The eaters then violently toss the ingredients with chopsticks. I’ve never had this dish when I was in Sabah. It was until I began work that I am invited to Chinese New Year luncheons and I participate in the violent act. Depending on the ingredients, after mixing, the dish is usually sourish with shred of turnip being the main taste. What’s your favorite Chinese New Year dish? Share it in the comment section below. This blog post was first published on February 15, 2013. It has been updated.